Prepare for fun with our action-packed tees in 100% cotton. 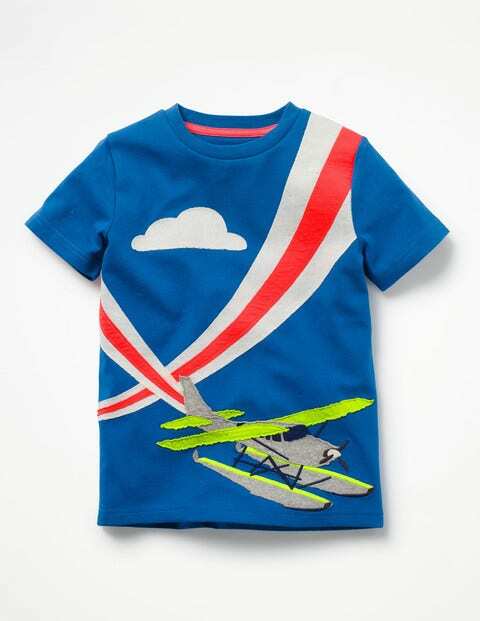 The bright appliqué motifs feature Sprout the dog catching a rainbow wave or an airplane leaving trails in the sky – sure to raise smiles when the sun's out. Whatever the day brings – be it exploring rock pools or roaming the woods – their classic fit will keep every adventurer comfortable. Ready, steady, go!